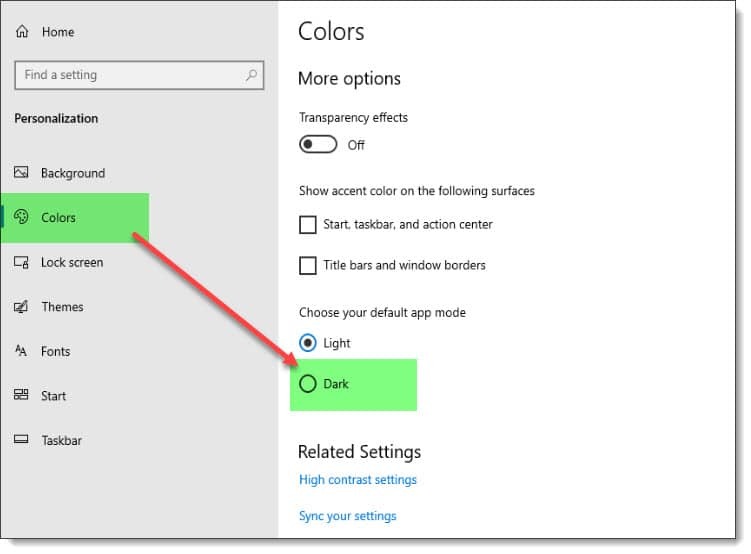 If you are like me and like to work on a computer at night, or, just work with the lights off, then dark mode is for you. I find dark mode helps with eye strain. In addition, many sources also report that a dark color scheme helps conserve battery power on mobile devices. 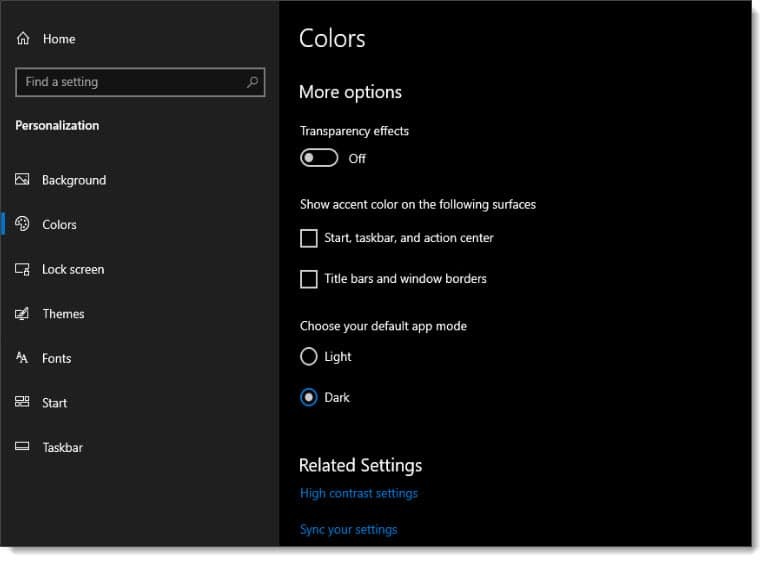 With build 1809, you can now set Windows 10 to a dark color scheme. Previous builds offered this option as well, but 1809 was the first version that also adopted this color scheme in File Explorer. The process to enable dark mode is super easy. It only takes 5 clicks and one scroll of the mouse wheel. 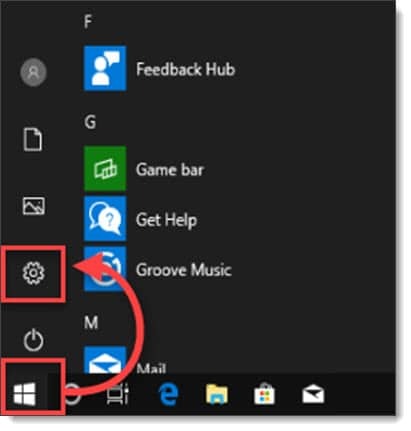 To enable dark mode in Windows 10, click the Start button and then Settings. 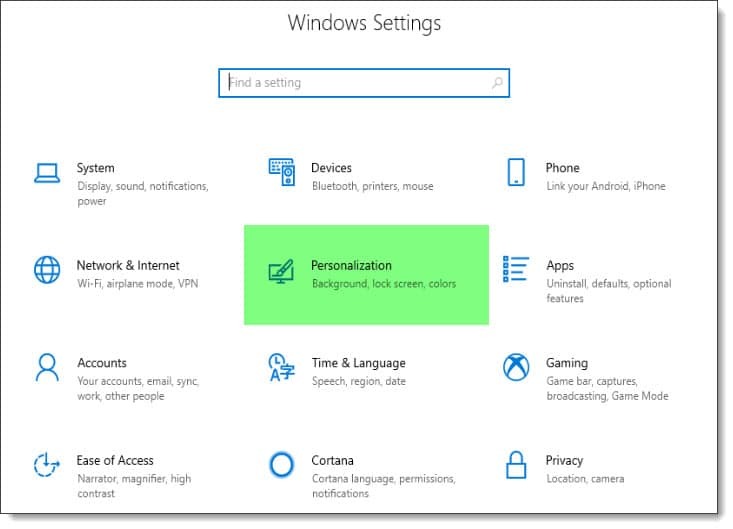 This will launch the Windows Settings page. Click Personalization. From the Personalization page, select the Colors tab on the left side. From the Colors page scroll to the bottom of the page. Under Choose your default app mode select Dark. All dialog windows will now switch to a dark color scheme, including the Colors page you are currently on. You will also notice all other Windows screens, such as File Explorer are also now in dark mode. The screenshot below is an example of opening up File Explorer from the pinned icon on the taskbar. Note: If File Explorer does not switch to a dark color scheme, verify whether you are on build 1809 of Windows 10. Older builds, such as 1803, included the dark color option but File Explorer did not support this mode until 1809. To revert back to Light mode repeat the steps above, but instead of choosing Dark in the Colors tab, pick Light instead. All dialogs, including File Explorer, will revert back to a light color scheme. 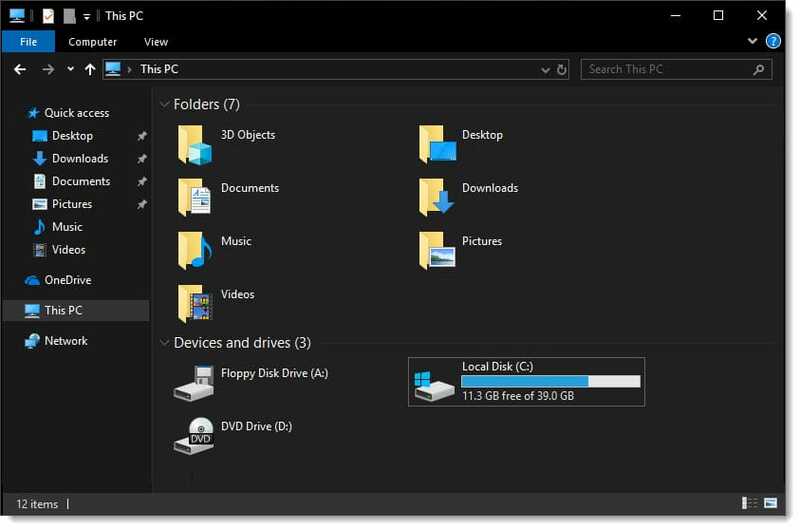 If the dark setting does not change File Explorer, or, you don’t see that option under the Colors tab, you may be on an older version of Windows 10. In this case, you just need to run Windows Update to upgrade to the latest build of Windows 10. To verify what version of Windows 10 you are on, right click the Start button. This will bring up a context menu. From this menu click System. On the About page scroll down until you reach the section titled Windows Specifications. Look for the value next to Version. 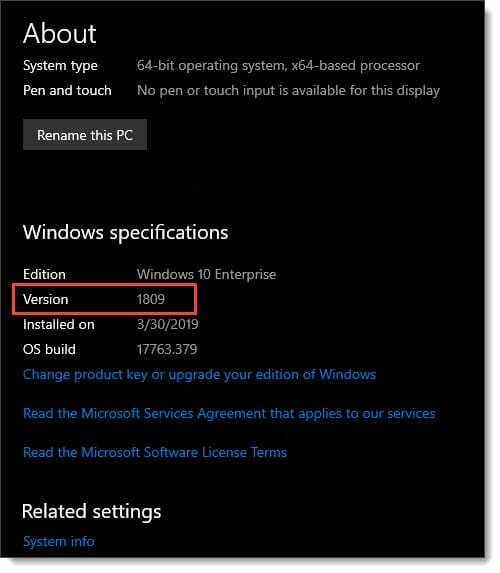 In the screenshot below you can see we are at version 1809. So what do you think about this feature? Drop a comment below or join the conversation on Twitter @SuperTekBoy.